We have new charts for you covering two common mistakes in English. 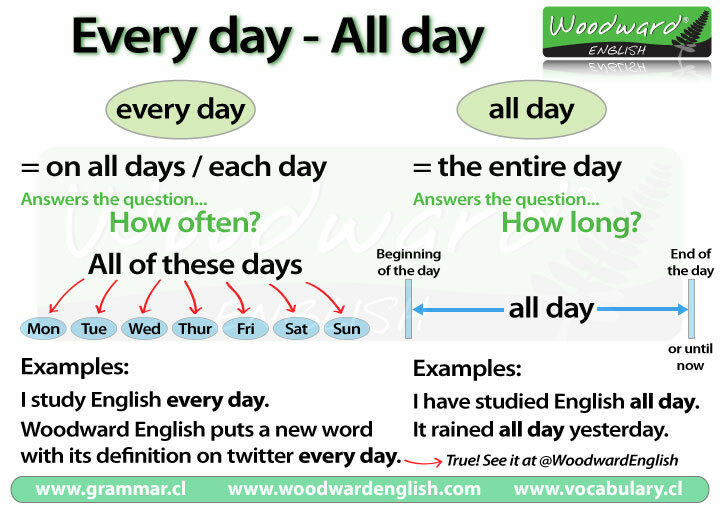 The first chart explains when to use Every day instead of All day. 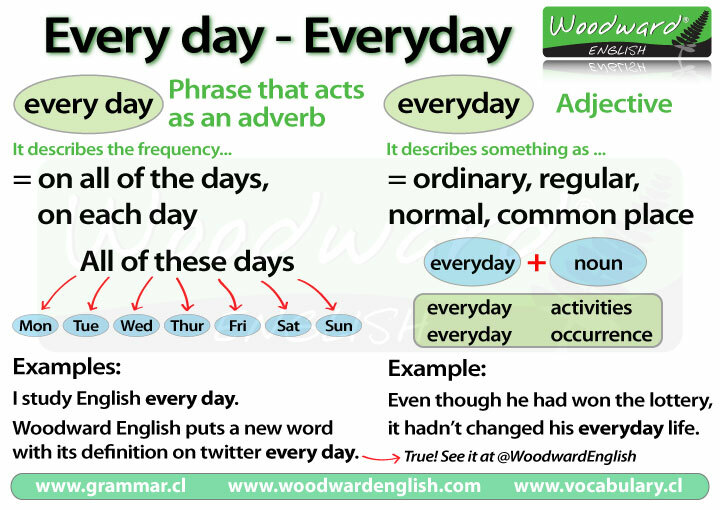 The second chart explains the difference between Every day (two words) and Everyday (one word). NOTE: They look similar but they are NOT interchangeable! 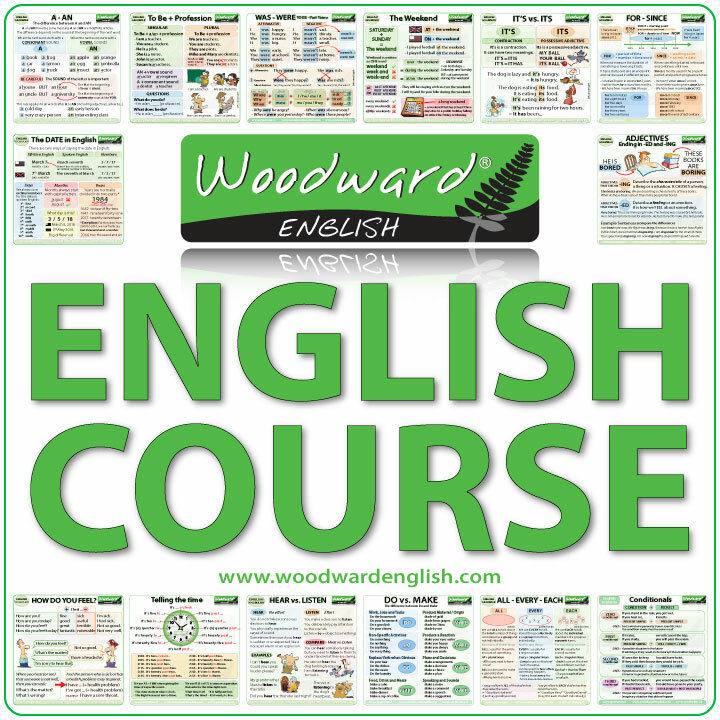 Of course we have a more detailed explanation with more examples of each of these grammar points here. There is a game to practice the difference between each one. What is something that YOU do every day?